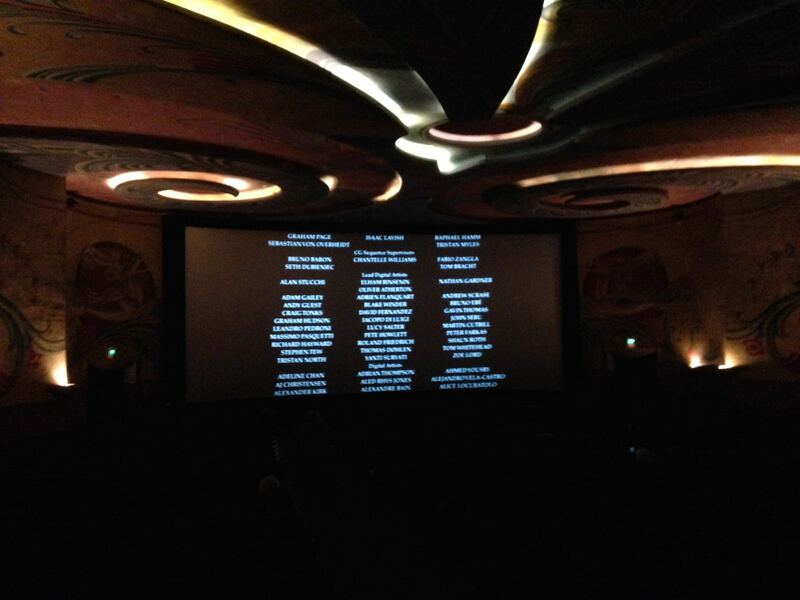 Closing credits of Interstellar at the Fremont. I enjoyed the movie, despite it. No. Very different. Gravity was a movie about people and was set in the present. It had some physics/science issues(tm). The visuals were great and the acting was great and the story was great. Interstellar was a SciFi movie about the end of the world(tm). The science was often ridiculous. The characters/motivations were doubtful. The plot had galaxy sized holes in it. The visuals were cool and there was some action and a fun twist or two. If you could only see one, then go see Gravity. No doubt. If you’re 15, maybe see Interstellar?